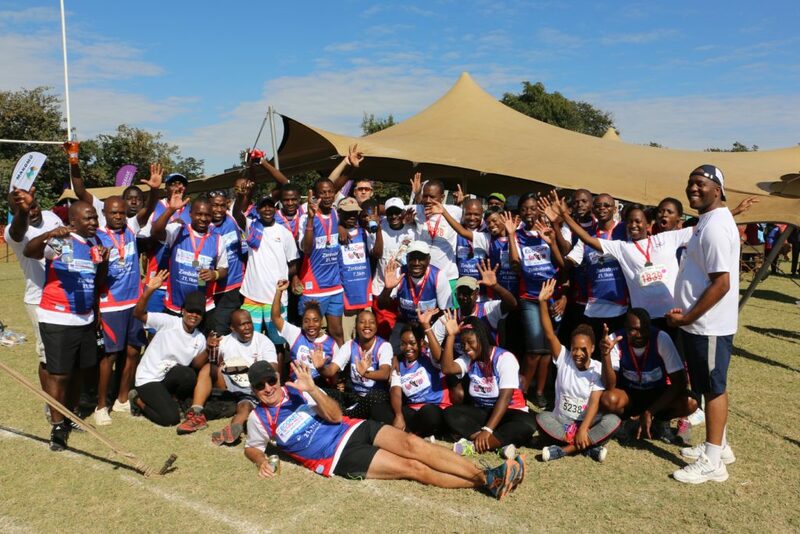 Fielding the largest contingent in the Econet Vic Falls Marathon 2017 corporate challenge, AAT had 75 participants running in two of the event’s three categories, with 25 of the runners taking part in the race for the first time. 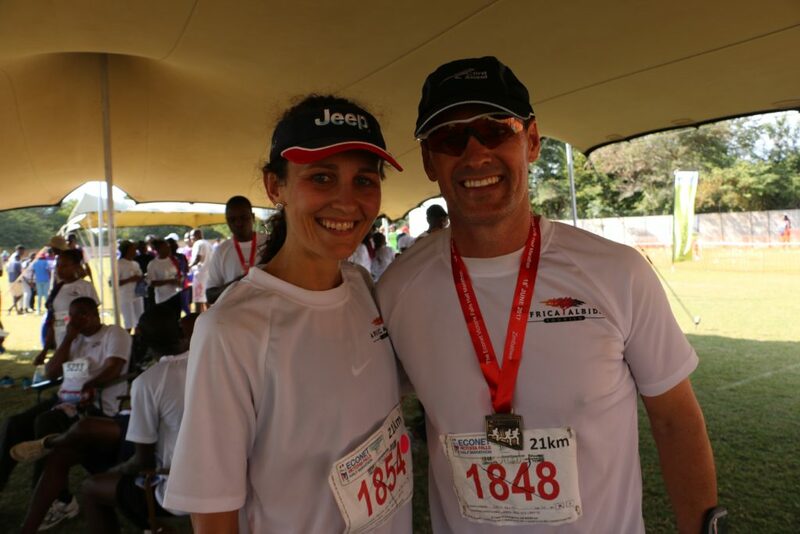 Runners came from across all departments in the group, including Accounts, Food & Beverage, Human Resources, Maintenance, Sales and Marketing, Rooms Division, Laundry as well as Ngoma Safari Lodge. This year’s event, which attracted 2700 runners, was won by Zambian Matthews Mutanga in a time of 02:21:32. Thabitha Tsatsa won the women’s race, romping home in an impressive time of 02:57:06. In the annual Africa Albida Tourism 21.2km floating trophy challenge, Jaya Mapfumo of Lokuthula Lodges crossed the finish line first in a personal best time of 01:35:07, followed by Levy Kwaramba and Casper Mpofu both of Housekeeping in 01:38:25 and 01:43:13 respectively. This was also a personal best time for Levy, who shaved off more than 4 minutes from his 2016 race time. 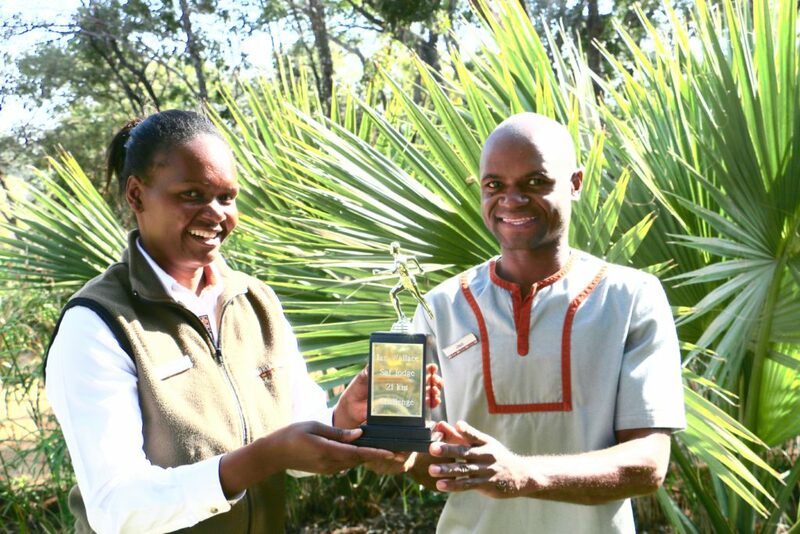 The floating trophy was donated by Ian Wallace, a former guest of Victoria Falls Safari Lodge, in 2014, and the event has since become an integral part of the lodge’s sporting calendar, with staff members putting in hours of training to earn the bragging rights to the trophy. First lady home in the AAT challenge was Frances van Pletzen of Ngoma Safari Lodge, crossing the finishing line in a time of 02:09:34, with Modester Bonda and Alvinoh Ndlovu from the Human Resources Department finishing in 02:50:53 and 03:08:46. Hailed as one of the most scenic marathons in the world, the Econet Vic Falls Marathon takes in two countries, Zambia and Zimbabwe, and glimpses of wildlife along the route are not uncommon! This year the Vic Falls Marathon donated US$4,000.00 to the Victoria Falls Elefence, a project under the Victoria Falls Green Fund/Environment Africa in partnership with the Victoria Falls Anti-Poaching Unit, The Victoria Falls Wildlife Trust and the Municipality of Victoria Falls. The project is working on putting up an electric fence around the Victoria Falls dumpsite to deter elephants and other species from feeding on the waste, including plastic. US$50,000.00 is needed to put up the fence, which will need to be solar-powered, and will be patrolled by an anti-poaching team. Organisers of the marathon have provisionally booked Sunday 17 June as the date for the 2018 race.